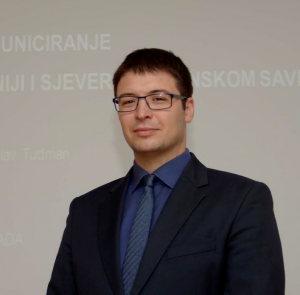 Duje Ančić is the Head of the Division for Peace Missions and Operations in the Sector for NATO and International Security within the Croatian Ministry of Foreign and European Affairs’ Directorate General for Global Affairs. As a diplomat, Mr. Ančić featured as a participant in the 2012 edition of the Global Raphael Lemkin Seminar for Genocide Prevention as well as the Raphael Lemkin Seminar Alumni Meeting held in Arusha, Tanzania in the summer of 2013. What is your background in working on issues related to the prevention of genocide and other mass atrocities? At the time that I attended the Raphael Lemkin Seminar, I was working in the Human Rights Department of my Ministry and already dealing in the broad field of human rights, including the protection of civilians in armed conflicts. Although my education probably created my interest in the topic of prevention, the fact of the matter is that I grew up during the war in Croatia, which deeply influenced me. As a child of only 11, it was hard for me to understand why everything seemed to change overnight. I remember that we had internally displaced children, from other parts of Croatia as well as refugees from neighboring Bosnia and Herzegovina, coming into my classes at school. It was, and still is, hard to understand why, after almost 50 years following the end of the Second World War, you could still have mass executions, ethnic cleansing, and genocide. It’s still hard to understand why you could have atrocities like those in Vukovar or Srebrenica, right in the heart of Europe. In the years after the violence ended, I didn’t have the courage to visit Vukovar, because I wanted to remember it as it was, when I had visited it as a kid. As it turns out, I decided to visit the town after having been to Auschwitz, as part of the Raphael Lemkin Seminar. What part of your time at the Raphael Lemkin Seminar had the largest impact on you? Though I learned a lot from my time in Poland at the seminar, one of the things that stood out the most to me was the significance of the site of Auschwitz itself. While Auschwitz is intrinsically linked to the past, to me it is also turned toward the future. I saw it as a place where young people are made aware of the consequences of denying human dignity and how they are encouraged, on this basis, to work towards providing the best possible life for citizens in an increasingly multicultural contemporary society. What are you most proud of in your work to advance prevention? For me, this is a very difficult question, because it makes me wonder if I have done enough. I thought about answering this with a list of all of the duties that I have had, such as being the Deputy Head of the Croatian Delegation to the International Holocaust Remembrance Alliance (IHRA). However, the truth is that I am proud of every speech that I wrote for my fellow government officials where I was able to place an emphasis on the issue of prevention. I am proud of every intervention that I was able to make at different meetings where I was able to say a few words on this topic. I now realize that silence is the great enemy of prevention. It manifests itself in discrimination, violence, war, and genocide. And, if I succeeded just once in giving a voice to those who are voiceless, that makes me proud. How are you working to introduce a preventive element into the work you do in your current position? Nowadays, I am privileged to be invited to give lectures in my current position as Head of the Division for Peace Missions and Operations. I use these opportunities to integrate human rights into crisis management operations, as human rights, democracy and the Rule of Law represent our fundamental values. They need to be taken into account during the planning and execution of any related mission activities. I also stress in my many encounters and correspondence with government officials and colleagues the importance of human rights and the protection of civilians in conflicts during the pre-deployment training programmes for future military and civilian participants in peace missions and operations. This is one of the principle roles I see of peacekeepers around the world. What is your main motivation for continuing in your work? My main motivation is my daughter. I want her to have a happy childhood and I want her to live in a better and more secure world. I want to be able, in 10 or 20 years, to look her in the eyes and to say that I was one of those people that made this world a better place.